I want to apologize for the lack of updates for several months. Truth of the matter was I really lost interest here because I currently do not like the direction with Gossip Girl and there wasn’t much going on keeping my interest. 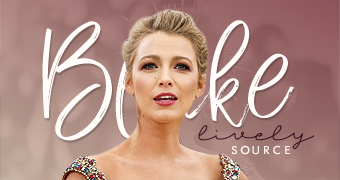 However, after a little break, I feel refreshed and excited to update now that the show is off for the season and there is new things happening with Blake, so I hope this will last! I will try and make my way around to getting the site back up to date with Gossip Girl but it will be a gradual process since I really find the episodes quite boring these days. If anyone would like to help out capping them please don’t hesitate to get in touch! For starters, screencaps of Blake’s very brief scene in New York, I Love You have been added. Her scene was shared with Anton Yelchin and Olivia Thirlby and was actually quite funny. She looks stunning in that red dress too! Yes as many other big actors, Blake will also be starring in the movie ‘New York, I Love You’. Blake will star along side with Natalie Portman, Hayden Christensen, Shia LaBeouf, Rachel Bilson, etc.